A core need of many online Flash applications is to store data in an online database. Supporting this need requires the integration of a few different technologies. The solution that I will be walking you through in this and the next tutorial post will integrate AS3, PHP, MySQL, and amfphp. This post will contain the boring, yet necessary, setup steps. This includes installing all tools and frameworks as well as creating the MySQL database to store your application data. To demonstrate how to create a storage service for your Flash application, we are going to create a simple event management application. This Flash application will allow you to create, delete, and view events. All of the data for these events will be stored in a MySQL database via a PHP service. I do not own the Flash GUI, so we won’t be looking at any actual graphics for this application. We will just create the code to support the inexistent GUI. FlashDevelop – This is the IDE that we will use to write all our code. It has built in support for ActionScript and PHP. I will be using version 4.0.0 Beta. 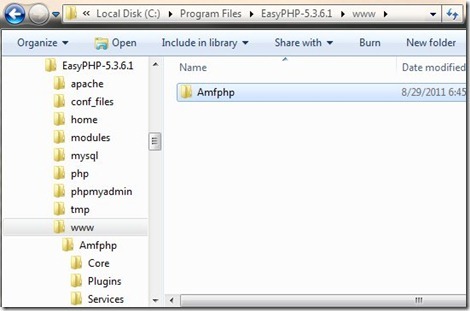 EasyPHP – This is a development environment for a WAMP server (Windows, Apache, MySQL, PHP). As the name suggests, it is easy to use and requires almost no configuration. You get all the components installed at once, and there’s no configuration text files to mess with. This is by far the easiest way to get started with PHP development. amfphp – This library provides us with an easy way to create PHP services that ActionScript can communicate with using the Action Message Format. 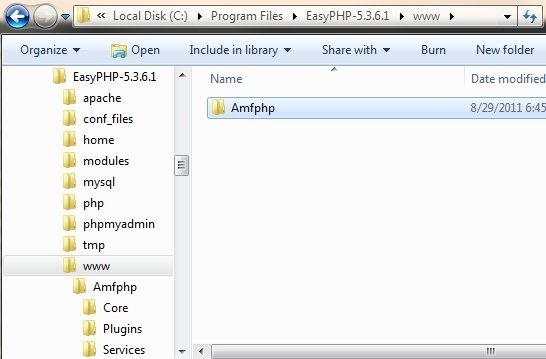 FlashDevelop and EasyPHP, and unzip Amfphp. 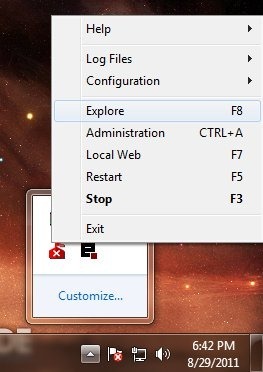 After installing and running EasyPHP, right-click on the e on your task bar and select Explore. Mess around with the MirrorService to make sure that everything seems to be working properly. Now let’s get the database set up. Right click on the e for EasyPHP in your task bar and select Administration. 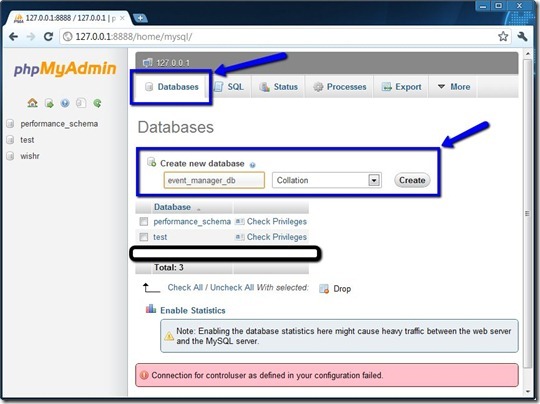 On the Administration page, click the big green button that says Manage Your Databases. 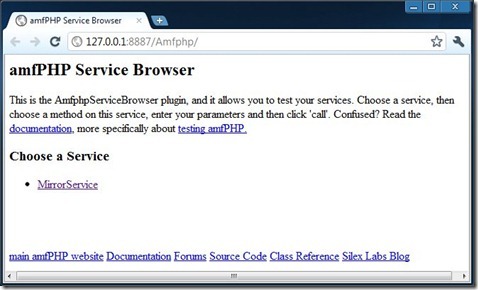 If your browser takes you to your phpMyAdmin page, then everything is fine and you can skip the next paragraph. If you got errors saying that you could not login, then it is probably because you have already installed MySQL and have set a password for the root user account. To fix this, open C:\Program Files\EasyPHP-5.3.6.1\phpmyadmin\config.inc.php (modify that path to match your setup if necessary). You will need to change the following 2 fields. 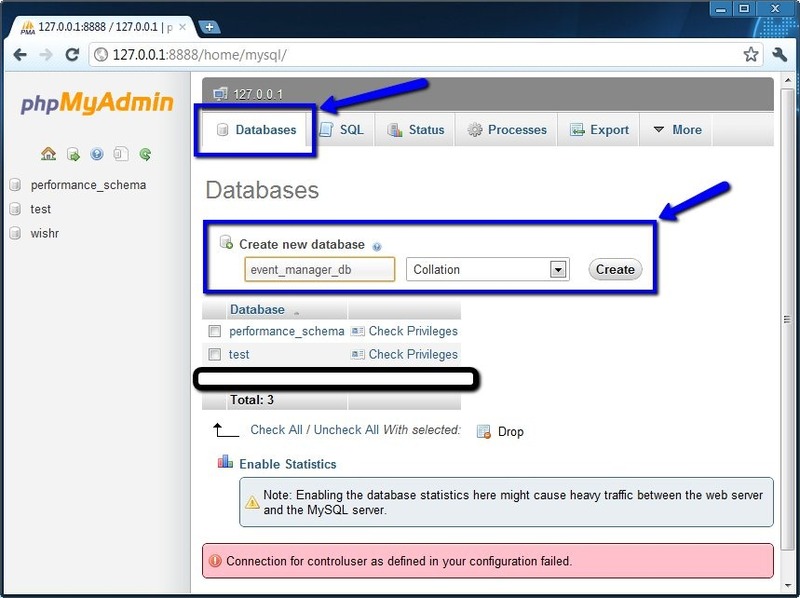 Once you have successfully logged into phpMyAdmin, click the Databases tab, enter the name for your database, and click Create. 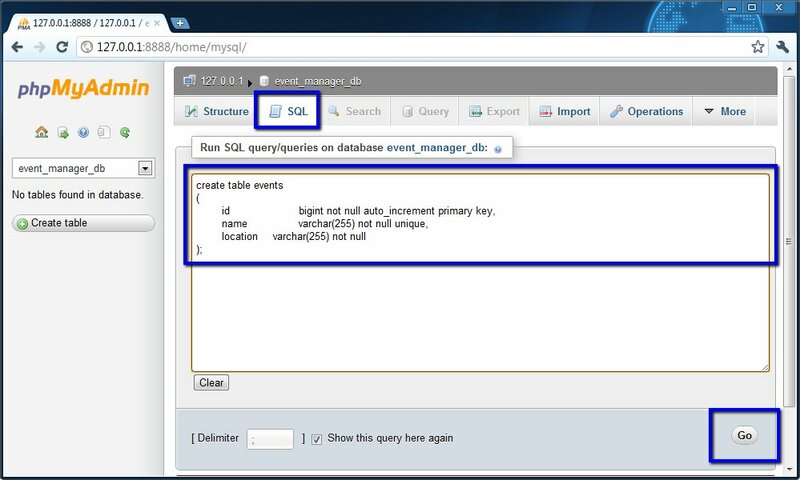 Click on your newly created table, go to the SQL tab, enter the following SQL code, and click Go. All the boring setup is now complete. You have a working PHP server, a database to store your application data, and a framework to create services that can communicate with ActionScript. In Part 2 of this tutorial we will go over actually creating the PHP service that will manage this database as well as the AS3 that will communicate with the PHP service. If you have any trouble, or notice any typos, please let me know.